You know the importance of the early years and want the best for your children but what makes a good child care program? The programs that are doing it right understand the crucial role they play in supporting the early years. They take pride in being early childhood educators (ECEs). 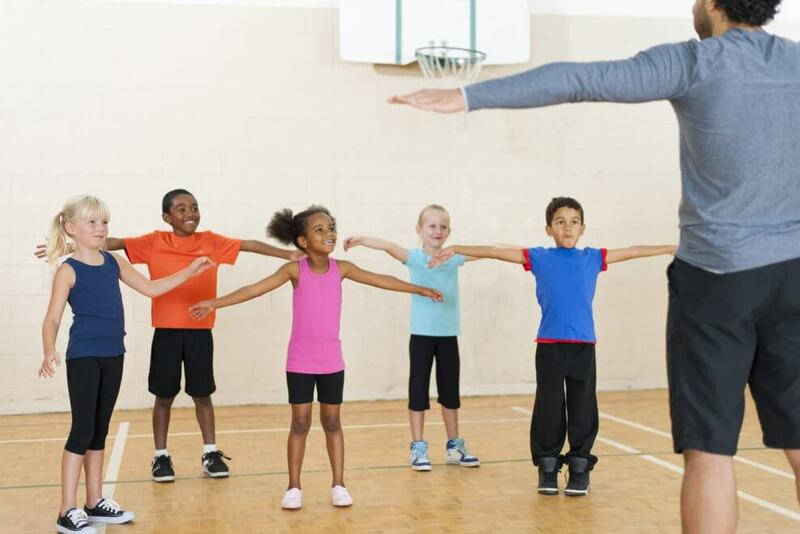 They see the benefits of structured and unstructured play, and prioritize the importance of physical literacy, physical activity, and all the tools kids need for emotional and academic success as they grow older. But how is a parent to know if their kid’s child care center provides the right programs? We turned to Active for Life contributor and child development expert, Dawne Clark, to help generate this list of go-to questions parents can ask potential child care programs. Young children need to move and be physically active. What do you see as important about physical literacy and physical activity for children? What do the other parents who are part of the centre’s community feel is important? Quality education and care are directly related to the level of education of ECEs. What are the education qualifications of the ECEs in the program?Quality early childhood education includes an understanding of child and brain development, learning through play, appropriate guidance strategies, and how to work in partnership with families. All provinces have different education requirements. Be familiar with those in your province and check that the ECEs have the highest possible level of early childhood education. Young children learn through play. Where and how do the children spend their days? How do you safely provide very young children with opportunities for physical activity and motor skill development?You should expect rich and stimulating environments both indoors and out. Indoors look for an environment that encourages kids to interact with books, a range of equipment, and allows them to move – wiggle, hop, balance, and throw. An outdoor space doesn’t need expensive fixed play structures but does need lots of loose materials and natural elements for children to explore and use their imaginations. Avoid programs that keep kids desk-bound doing worksheets. Spending time outdoors is vital to children’s health and sense of well-being. Is there a large enough, easily accessible outdoor space for the children? Are children taken outside every day for at least an hour? Do the ECEs ensure that everyone, including the children and the ECEs, are dressed appropriately for the weather? Do the ECEs engage in play with the children and act as physically active role models? Are children encouraged to take advantage of natural elements such as rolling in the snow? Children need time to deeply engage in play for it to be meaningful. Are children provided the opportunity for unstructured play for at least 45 minutes at a time? Engaging in unstructured physical play develops children’s physical and social skills. How are the children encouraged to play with others? How are children taught to handle conflict resolution with their friends? Already have a child in child care but feel they could improve when it comes to physical literacy? Not to worry. Here are some tips to help you advocate for the positive changes you wish to see. Understand the current regulations for your area (for example, in terms of providing an outdoor space and time to play outside) so you can advocate with knowledge. Ensure your centre is meeting those requirements. Ask how you can help. It can be as simple as informing other parents to bring weather-appropriate clothing, or talking to the other parents to help them understand why active play is important for their child’s development. Support the professional development of the ECEs at your child care centre. This may require closing centres from time to time but is important for infusing new ideas and methods into your child’s education and care. If you have anything to add to this list please let us know in the comments section below. Let’s all help each other! Editor’s note: This article is an updated version of one written by Lori Fireman in 2014.